Karisma Hotels & Resorts has announced that Transat has been selected as the “Karisma Preferred Partner” for the month of April. Partners that are chosen to participate enjoy a range of benefits, including training support, sales incentives and assistance, weekly contests, web, social media and press exposure. The training, which takes place prior to the start of the month, focuses on reservations, groups and sales with the intention of providing a better understanding of Karisma Hotels & Resorts’ fundamental differentiators, including the signature Gourmet Inclusive Experience. Incentives can include complimentary stays and the chance to enter to win a grand prize giveaway. With April’s promotion, Transat clients will receive savings of up to $1,000 per couple, plus a $300 resort credit. 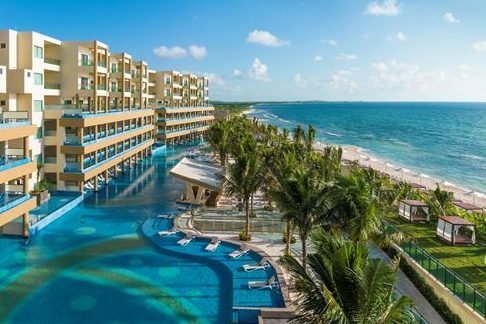 Clients who book their stays at Azul Beach Resort The Fives Playa Del Carmen will receive an extra 10% off on One Bedroom Suite categories or higher. Kids stay free when staying with two adults. These offers are available for bookings made by April 30 for travel through Oct. 31.